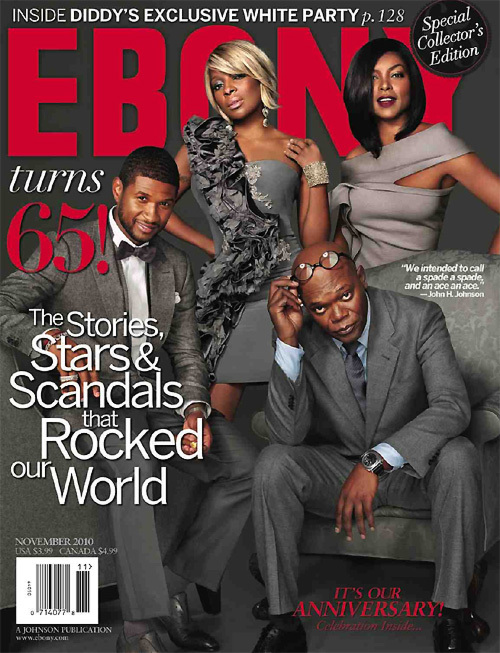 Ebony features Usher, Mary J. Blige, Taraji P. Henson and Samuel L. Jackson in their 65th Anniversary Special Collector’s Edition. Other covers pay tribute to icons such as Duke Ellington, Martin Luther King, Diana Ross, Diahann Carroll and more. The issue arrives on newstands on October 12. View more covers below.